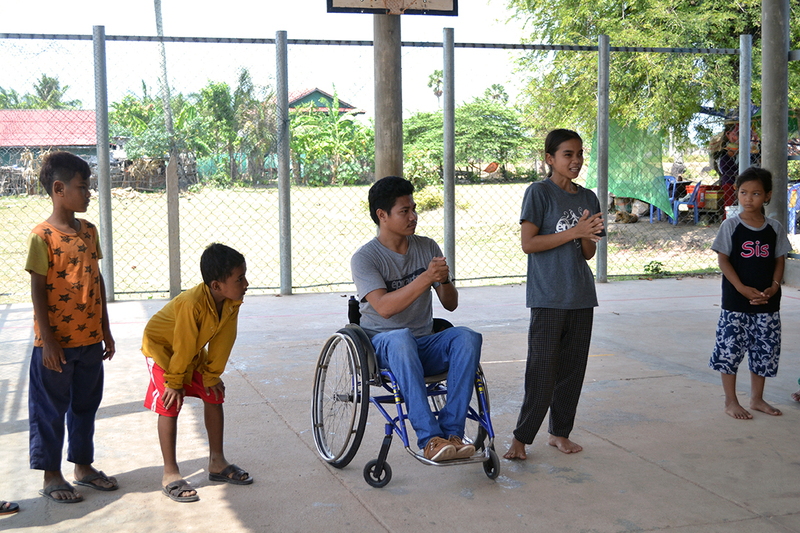 We have two new Workshop Facilitators joining the team this term, Savun & Chea. 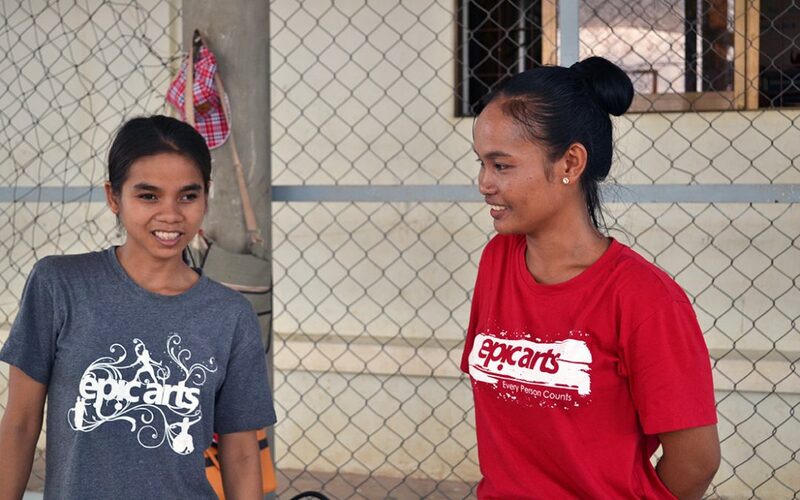 They have both recently graduated from our Inclusive Arts Course. 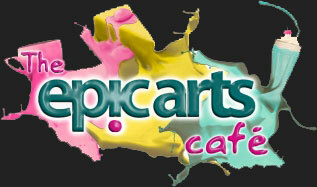 Over the past two years they’ve been exploring performing & visual arts with Epic Arts. Savun tells us how she was feeling about leading her first Arts in Schools workshop. 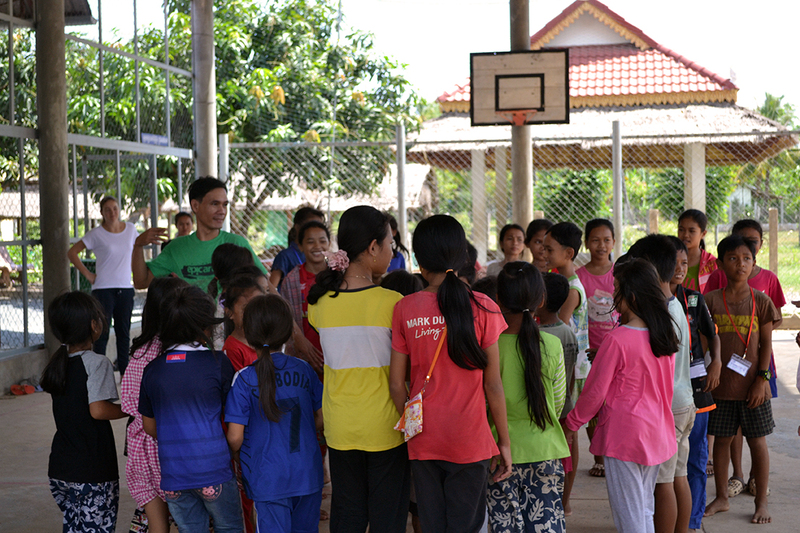 I’m excited about the workshop, it’s my first time working with these children. 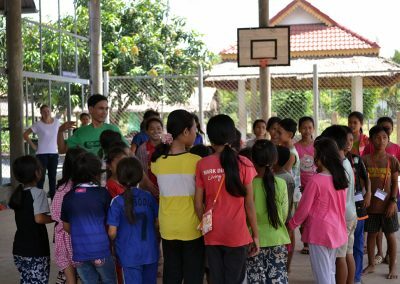 I would never have thought that would have the chance to teach children at school! I’ve learnt a lot in the past two years at Epic Arts not just about the arts but about being a leader as well. Today I led the introduction and warm up with the students. I was a little nervous about it. When we got to the school I asked to rehearse with my team leader Thou. The workshop was fantastic! 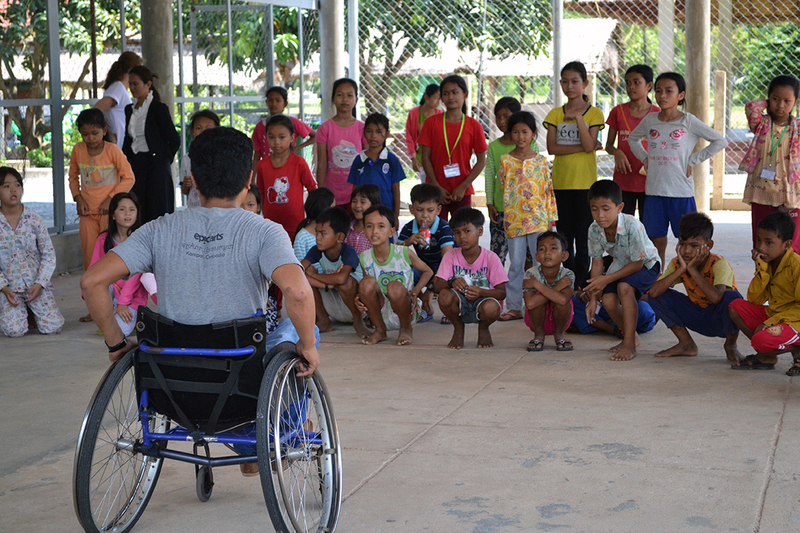 It was our first session so we played games and led some movement activities to get to know the new students. 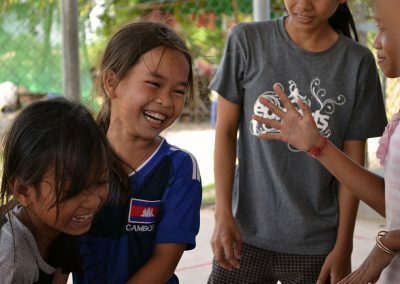 My favourite thing about the workshop was seeing how much fun the students were having! I was very surprised by the children’s attitudes. They remembered and respected the facilitators from last year. I’m really looking forward to coming back and working with the children next week! 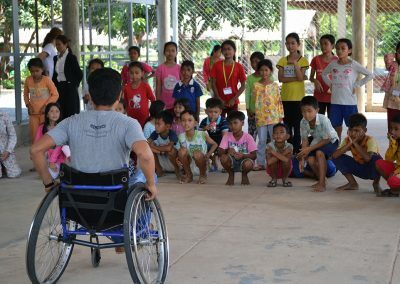 Savun picked up on an exciting observation – that bringing in two new facilitators, who both have physical disability, has highlighted how the students react to disability. This wouldn’t have been possible without having consistent workshops led by our team. 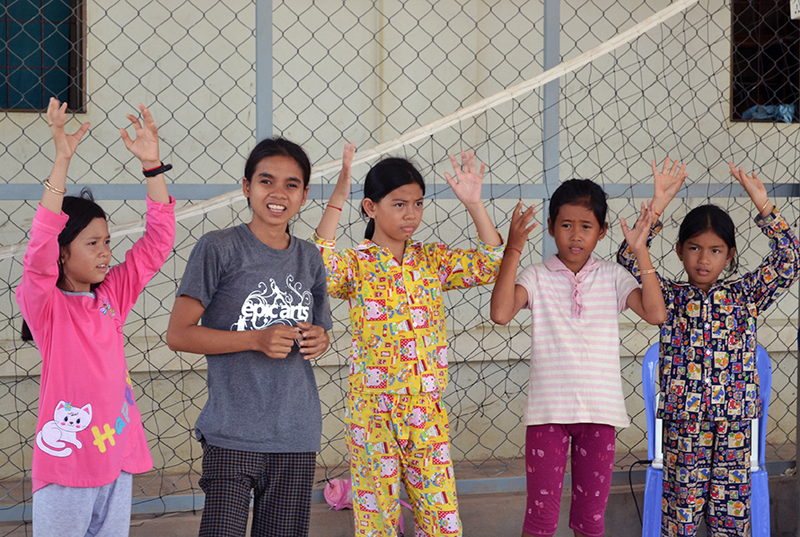 This project is funded through individual donors like you. 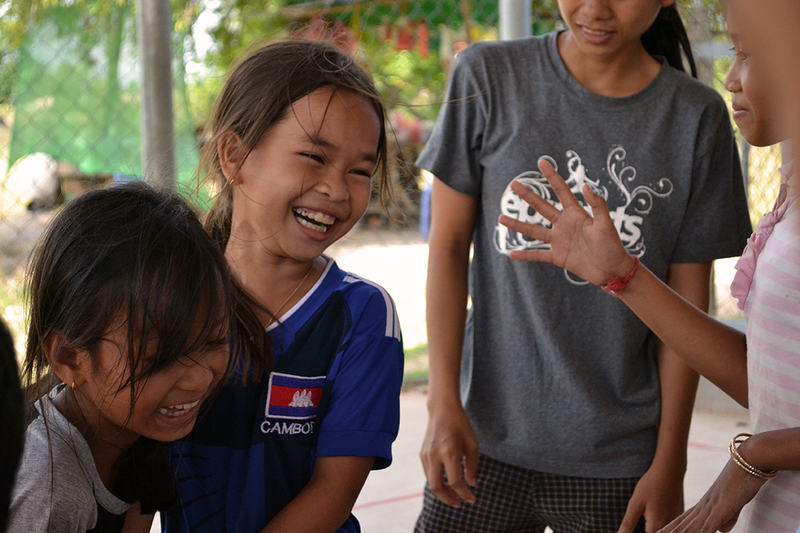 Thanks to generous donations over the past year we’ve been able to continue to lead Arts classes in Kampot schools. Help us deliver more Arts classes!